We’ve partnered with CSU Chico. Situated in Chico, California, a region that attracts talented entrepreneurs who seek an enhanced quality of life through relocation from nearby urban centers, CSU, Chico provides students with high-quality instruction, exposure to experienced entrepreneurs, and the resources they need to fully develop promising entrepreneurial ventures. 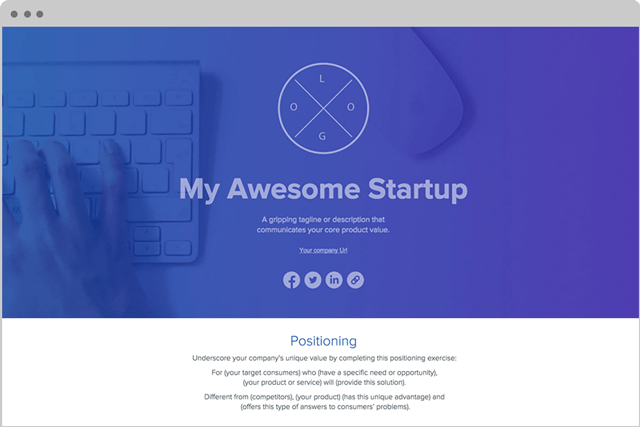 Quickly build a presentation-ready pitch deck to make a strong case for your startup.